I thought it was time for a feature post on my most frequent book gifter. He does an excellent job of selecting reading material for me; I’m sure you will recognize the themes from the list below. Nothing he’s given me (that I’ve read) has been less than great, yet. But I still have many of them to read. 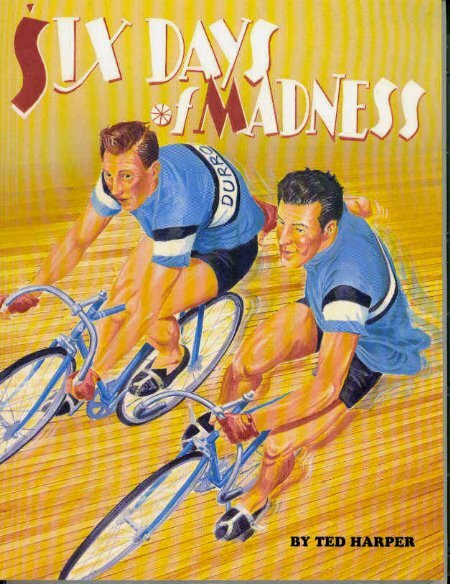 Six Days of Madness by Ted Harper: a 1993 book about six-day racing in the United States in the “Golden Age” of cycling, the 1890’s. I read it, pre-blog, and LOVED it: track racing is obscure enough, but six-day racing is an extra-special, rare reading subject. 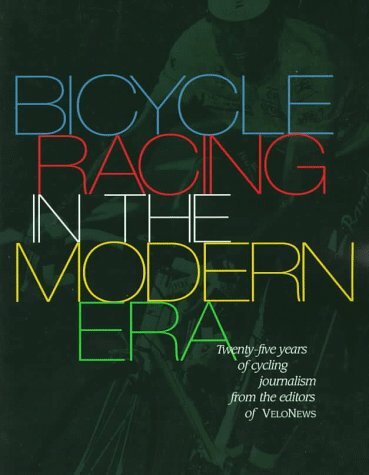 Bicycle Racing in the Modern Era: a VeloNews production covering 25 years of pro cycling in multiple disciplines (road, track, mountain, cyclocross, BMX), and the beauty of it is that the 25 years covered are 1975-2000 – meaning that Lance Armstrong has only a bit part. In a totally Lance-saturated world, this was inexpressibly refreshing; and I learned a lot. I read it pre-blog. 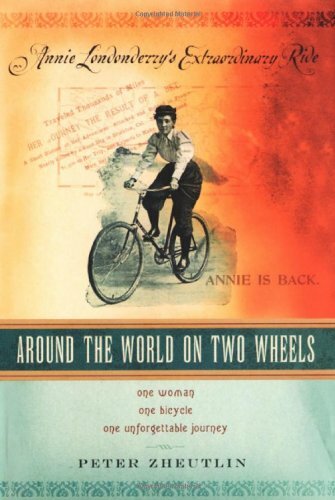 Around the World on Two Wheels: Annie Londonderry’s Extraordinary Ride by Peter Zheutlin: the story of Annie Londonderry’s bike ride (ostensibly) around the world incorporates adventure, women’s issues, world travel & cultures, as well as the Golden Age of cycling. There is even a thread running through it regarding women’s clothing and clothing reform – interesting stuff. 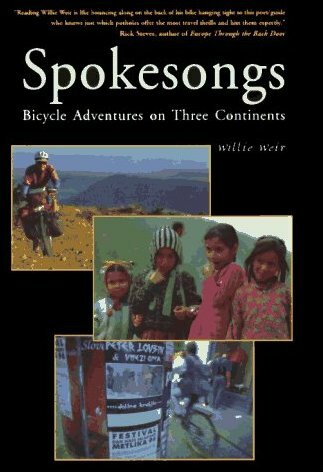 Spokesongs: Bicycle Adventures on Three Continents by Willie Weir: a series of anecdotes by a man who cycle-tours several continents. A focus on the developing world makes for some interesting cultural tidbits. 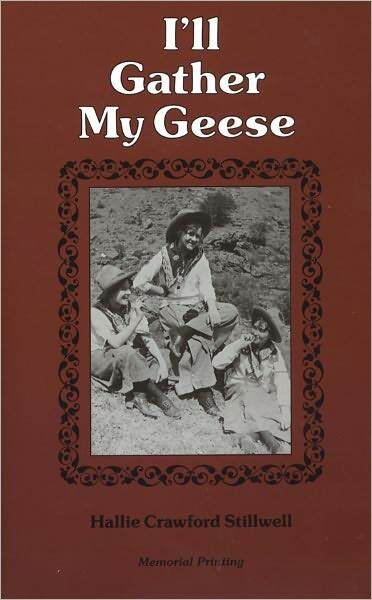 I’ll Gather My Geese by Hallie Crawford Stillwell: the memoir of a woman who headed off into the unknown of far southwest Texas in the 1910’s to work as a schoolteacher and live on a ranch. Sounds good! I just haven’t gotten to it yet. 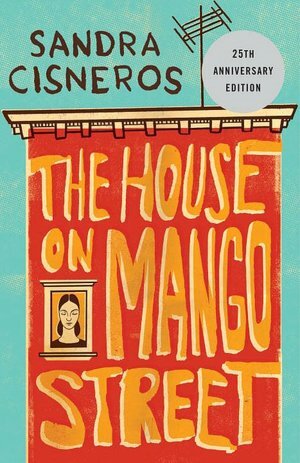 The House on Mango Street by Sandra Cisneros: an exceptionally beautiful and powerful collection of short stories that might be poems. Not one to miss! And Fil had never read it; so I was able to recommend it back to him. Note that this edition is extra-special because of the lovely introduction (by Cisneros) that is included. 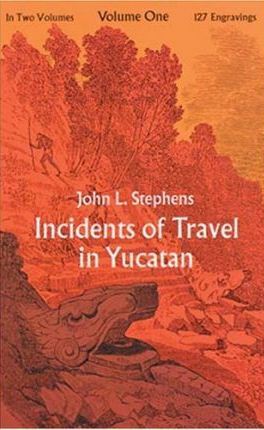 Incidents of Travel in Yucatan by John Lloyd Stephens, Volumes I & II: Barnes & Noble claims that “Edgar Allan Poe called it ‘perhaps the most interesting travel book ever published. '” That might do it for me, right there! 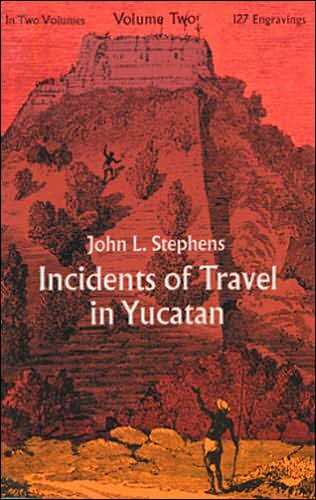 Husband and I have a special fondness for Mexico’s Yucatan Peninsula, and an 1800’s-era travelogue with that kind of blurb definitely belongs on my book shelf. Which is a lovely one. 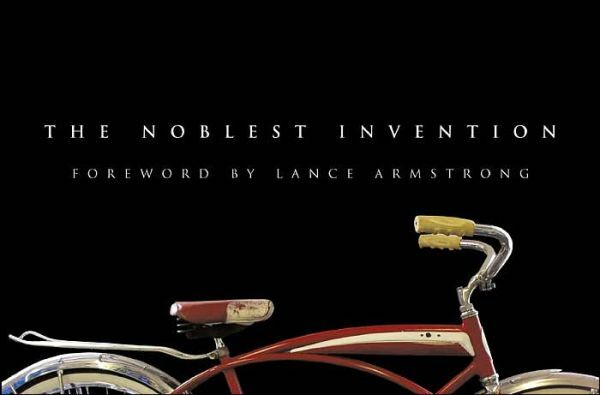 The Noblest Invention from Bicycling Magazine: another coffee-table bike book, this one on the history of the bicycle, presumably a celebration of our relationship with two wheels and with lots of good pictures, as well as a well-advertised foreword by Lance Armstrong, who has been inescapable in cycling publications for years – maybe that will change now with his newfound ignominy? 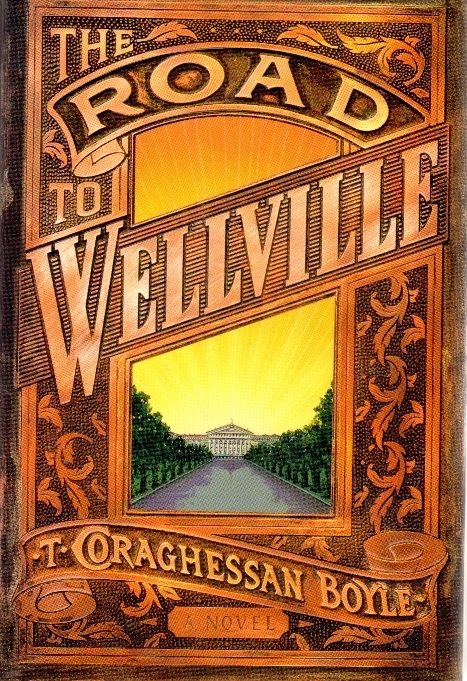 The Road to Wellville by T.C. Boyle: I know nothing about this one, and I believe the same goes for Fil; I think it was purchased on the strength of Boyle’s reputation, which I know although I have read none of his yet. So, fair enough, Fil. A reading assignment. Okay. 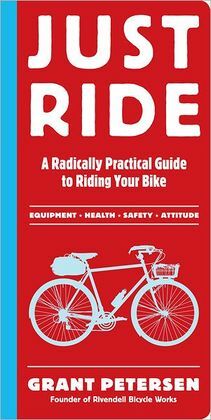 Just Ride: A Radically Practical Guide to Riding Your Bike by Grant Petersen: “radically practical” sounds like a quite fine way to describe Petersen himself, a personality I’m familiar with through the Rivendell Reader (an occasional serial publication from Rivendell Bicycle Works, Petersen’s company – you can see a few issues here). 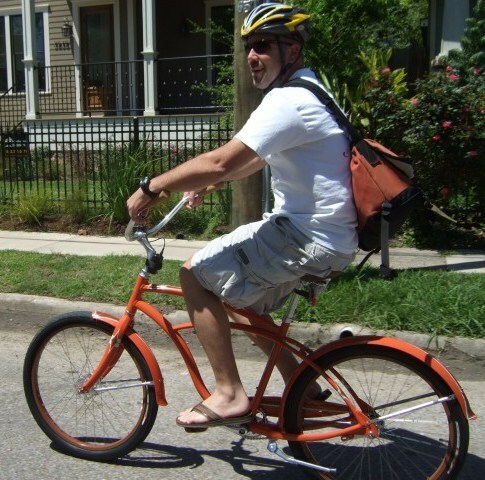 He is the definitive retro-grouch when it comes to bicycles, and my reaction to his philosophies is mixed: much of what he says makes sense (and I have a little retro-grouch, even a little Luddite, running through me), but some of it seems to be clearly grouchiness for its own sake. Fil had already become ambivalent about this book by the time he gifted it to me! And I haven’t looked at it yet; but I will. 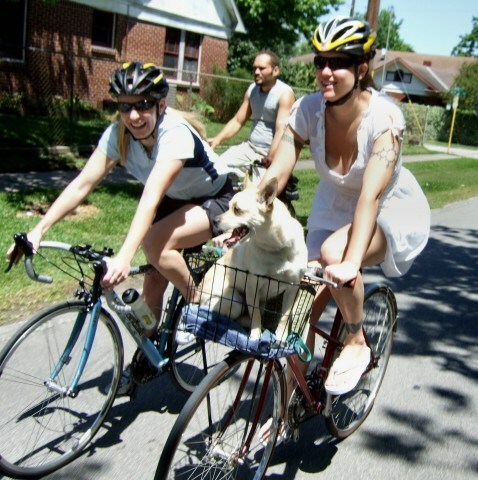 I have David Byrne’s Bicycle Diaries on my shelf, too (also a gift, from another friend), despite BikeSnob‘s relentless fun-making of him, and I may as well get all sides of this story! I suspect I will fall in line with the majority of Petersen’s directives, at least. 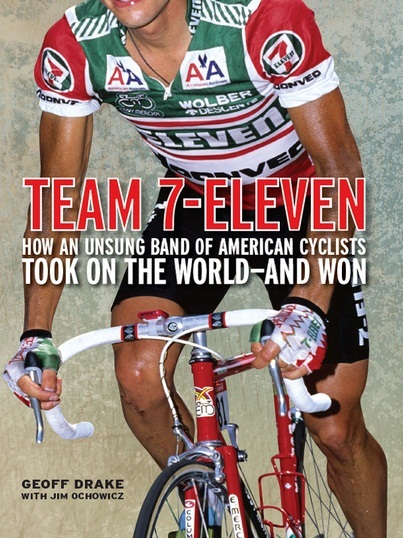 Team 7-Eleven: How an Unsung Band of American Cyclists Took on the World – and Won by Geoff Drake: the story of professional road racing in the pre-Lance era, back when all their gear was recognizable and Americans were new on the scene. I can read that. 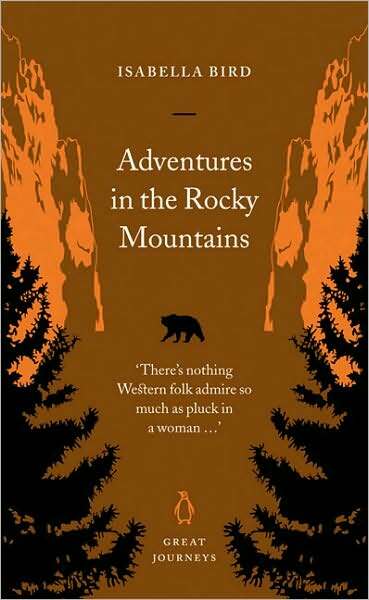 Adventures in the Rocky Mountains by Isabella Bird: just recently read, of course. 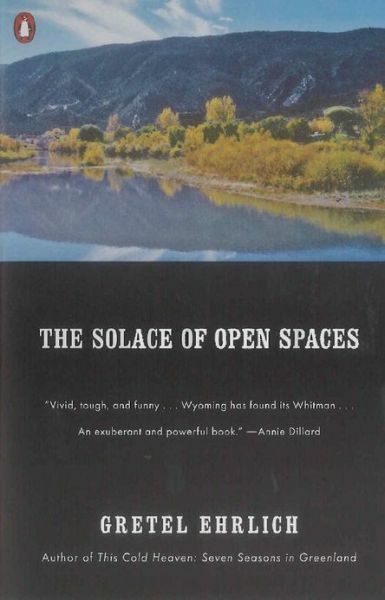 I have an idea that this might make a fine comparison read next to The Solace of Open Spaces, above, which is similar in being a woman’s perspective on the natural beauty and benefits of the American West, but from precisely 100 years later. Perhaps that’s the next Fil-gifted read I shall look forward to. Hm. 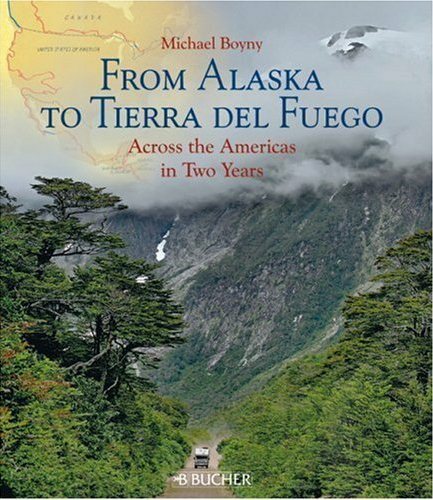 I am also most attracted (in making this list) by I’ll Gather My Geese, From Alaska to Tierra del Fuego, and Incidents of Travel in Yucatan (who can resist the Poe endorsement!). In other words, Fil is still doing well around here! 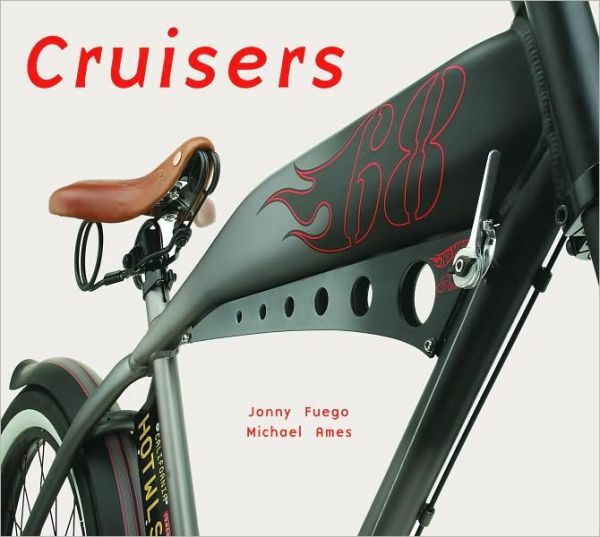 Oh, and I feel I should get to the David Byrne book, too, and compare it to Bike Snob and Just Ride. Which books on this list appeal to you especially? Do you have friends who consistently give you books, or consistently give really good gifts, or (lucky you!) both?